That’s an underlying and provocative premise behind Katerra, a technology company that’s on a mission to optimize the way buildings are developed, designed, and constructed. Truth be told, the industry is primed for an overhaul. Construction companies traditionally invest less than 1 percent of revenue in new technologies—lower than every other major industry, according to the company’s literature. As a result, simultaneous productivity decreases and cost increases during the last several decades have created a quandary that requires fresh thinking and outside-of-the-box solutions. To help avert such a debacle, Katerra is completely rethinking the existing construction model and replacing it with technology, design, and supply chain innovations that aim to revolutionize the world of architecture and construction. 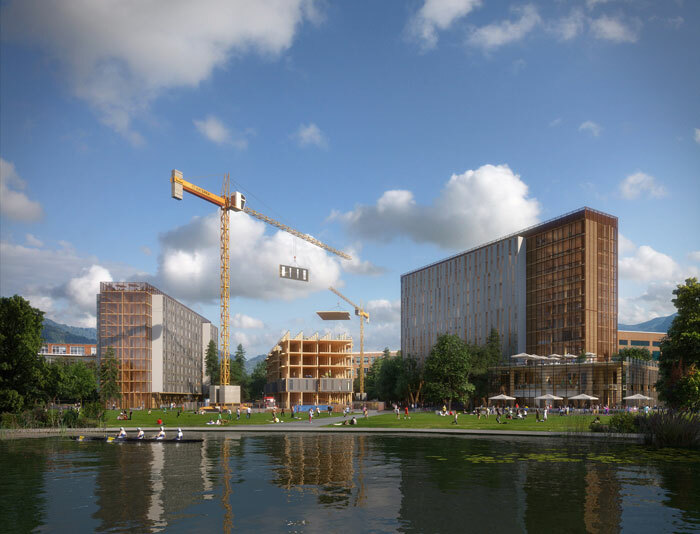 For those who cringe at the term “mass customization” and shudder at the thought of a skyline full of banal, indistinguishable prefabricated structures, take heart: Katerra is, at its core, a company in the business of preserving and improving the design process, rather than dismantling it. In other words, Katerra does not build prefabricated modules or completed hotel room pods, for example, and truck them down the highway on a flatbed. Rather, Curtis said the company takes a cue from global furniture giant IKEA to flat-pack building materials and interior components to improve logistics and reduce shipping costs. By doing so, it offers greater flexibility in the final look and feel of a building and allows architects to do more of what they do best—not less. “By optimizing a lot of the interior and the systems that are within these buildings, we’re actually finding that as architects, we have more time to spend instead of less time to spend on the thing that really matters and that’s: What does the building look like and how does it fit into a community?” Curtis said. “We’re not spending all that time redrawing bathrooms or mechanical systems or electrical layouts because that’s done; it’s repetitive. A lot of that work can be done in the computer,” he added. Katerra operates under another premise as well: “A transformative approach to building begins with design.” As such, the company developed a novel building system to strike a balance between standardization and configuration. Based upon a standard kit of parts, Katerra’s design system utilizes structural building components and curated interior products and finishes to create a multitude of elegant, custom configurations, according to company literature. Katerra’s BIM modeling links directly to its global supply chain through proprietary technology to ensure ease of ordering, tracking, and manufacturing. Its integrated logistic network, global product sourcing, and manufacturing teams reduce the number of suppliers and manufacturers, creating aggregate demand that establishes negotiating power to the benefit of clients. 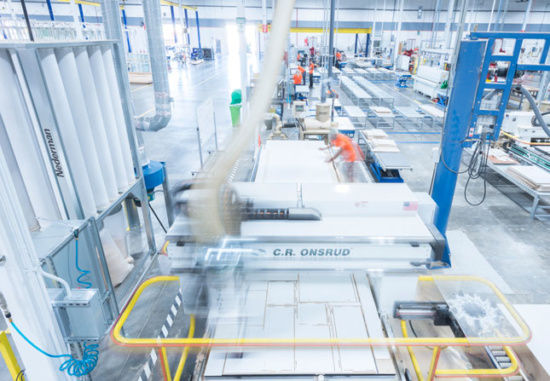 The company’s end-to-end building process mimics the process of precision-sequenced product assembly, moving labor from the job site to its factories, promising improved schedule and product quality assurance.